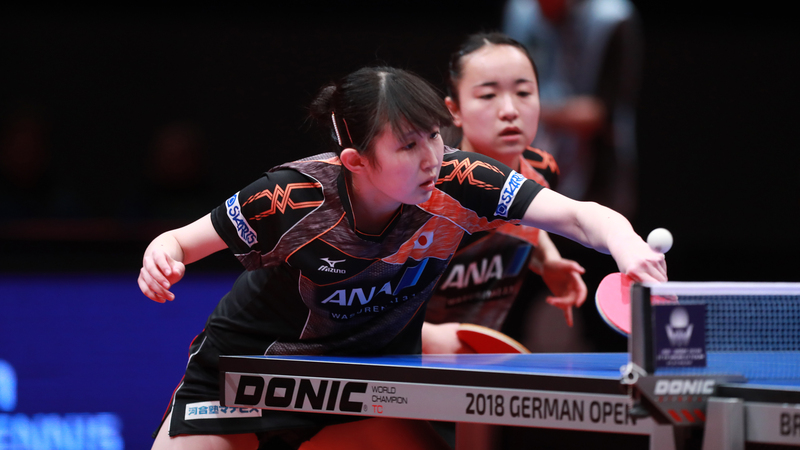 The most important day of the Seamaster 2018 ITTF World Tour Platinum German Open is here with Sunday 25th March marking the final day of the proceedings in Bremen. Four finals, four trophies but which athletes will leave the ÖVB-Arena with smiles on their faces? Get ready for title day with a look at our day three preview. Women’s Singles semi-finals features from 10.00am (local time) as top seed Feng Tianwei faces a difficult challenge from the ever-reliable Suh Hyowon: Meeting for the eighth time on the international stage it is Korea Republic’s Suh Hyowon who holds the superior record with five wins, however, Feng Tianwei heads into the match seeded 13 positions higher than her Korean counterpart. Kasumi Ishikawa and Cheng I-Ching both booked their places in the last four by eliminating Chinese opposition at the quarter-finals stage and now the Japanese and Chinese Taipei competitors will fight it out for a spot in the final. With just three places separating the two players in the seeding list, Kasumi Ishikawa and Cheng I-Ching’s semi-finals duel should make for an exciting contest. There are also two semi-finals ties to be decided in the Men’s Singles draw, both of which feature Chinese contestants. 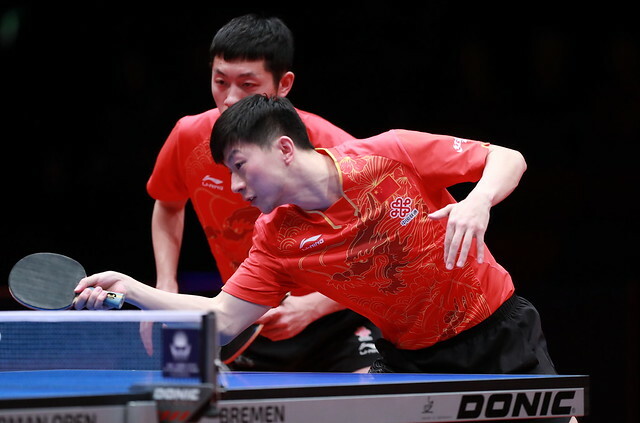 Only one place separates Ma Long and Wong Chun Ting in the seeding list and the latter player will be hoping to see that reflected in his match with the World and Olympic champion, who has dropped just one game across five encounters with the pen-hold specialist from Hong Kong. You also won’t want to miss the second penultimate round fixture as Xu Xin and Patrick Franziska play out an intriguing tie; winner of 12 ITTF World Tour Men’s Singles titles and having beaten his German opponent in all five of their head-to-head fixtures, the stats clearly point in Xu Xin’s favour. But Patrick Franziska has produced some of the best table tennis of his career so far in Bremen and will have the backing of the home crowd – Can the host nation star deliver another major shock? After a break in play the attention turns to the Women’s Doubles competition as Japanese and Korean pairings go head-to-head at 14.30pm (local time) for the first title of the day. Mima Ito and Hina Hayata were named as the top seeded duo for the event and will hope to live up to expectations by receiving their third gold medal as a partnership on the ITTF World Tour but first they must negotiate a tough encounter with Jeon Jihee and Yang Haeun of Korea Republic. Then the two singles finals will follow before the day concludes with the final match of the Men’s Doubles tournament. Victorious at the recent 2018 ITTF Challenge Polish Open in Spala, but can Jeoung Youngsik and Lee Sangsu rise to the occasion and earn a stunning result against 2011 World champions Ma Long and Xu Xin?